Hi! Have you try Alqvimia product? Alqvimia is a high energy natural beauty care from Spain. All its products do not contain petroleum, synthetic coloring, artificial perfumes, chemical and sun filters, liberated formal compounds and carcinogens. For the last 25 years, Alqvimia has been a benchmark for Luxury Natutal Cosmetics rolutionizing an approach to integrated beauty by using 100% natural products that holistically treat and care for your Body, Mind, and Spirit. Mixing ancient tradition and modernity… the name ALQVIMIA is a declaration of principles that embody feminine values, a human scale economy, and 100% natural ingredients and processes. This aromatherapy body oil blend makes me feel so relax and helps to sleep better. 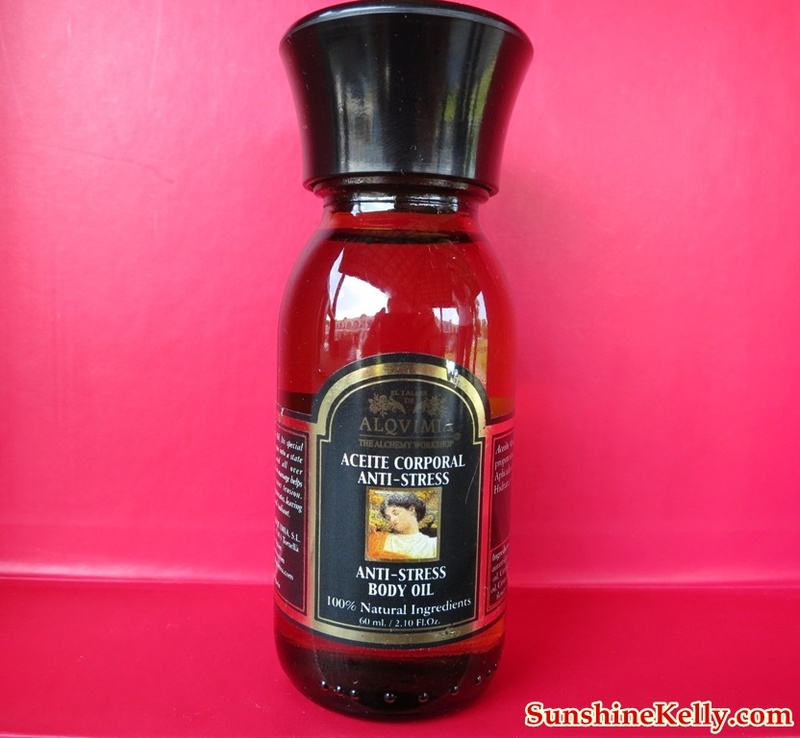 This oil is a best for body massage and I like the soothing and calm scent. 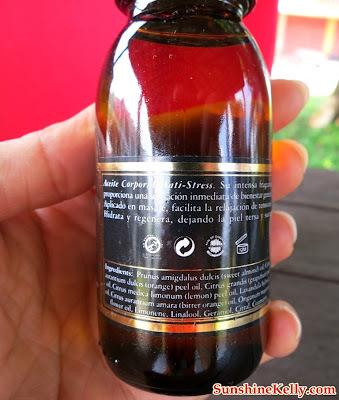 Sometimes I feel so tired, my shoulder so stiff and I sort of congested, so what I did at home in the evening after my shower I DIY a simple massage using this Anti Stress Body Oil then go to bed. It helps me to relax and have a good sleep. When I wake up my shoulder don’t feel to stiff anymore. A sublime body oil with Almond oil combined with the essential oils of Orange, Grapefruit, Lemon, Lavender, Marjoram and Petitgrain. Its stimulating scent provides an immediate sensation of all-over wellbeing. This oil helps relaxation and alleviates tension. Alqvimia Anti Stress Body Oil is best for those suffer from persistent of stress, anxiety and insomnia. It helps to relax and release physical and emotional tension. Use it twice a day, morning and evening to unknot those tight and taut muscles. Restoring and renewing life force within. It contains 100% natural ingredients, such as almond oil, essential oil of orange, grapefruits, lemon, lavender, marjoram and petit-grain. Usage: Use twice daily. To experience a total relaxation experience, use the entire range of these sublime anti-stress products and follow the recommendation for total body treatment at home. 2. Apply Anti-Stress Body Elixir in a gentle, all-over body massage and especially to those areas where it is most needed. 3. Apply Anti-Stress Eau de Toilette. 4. Take a relaxing bath once a week, adding No Stress Aromatherapy Blend. Ingredients: Prunus amygdalus dulcis (sweet almond) oil, Citrus aurantium dulcis (orange) peel oil, Citrus grandis (grapefruit) peel oil, Citrus medica limonum (lemon) peel oil, Lavandula hybrida oil, Citrus aurantium amara (bitter orange) peel oil, Origanum majorana flower oil, Limonene*, Linalool*, Geraniol*, Citral*, Coumarin*.